Smudges, dust, spills- no TV is immune. But we’ve got you covered! 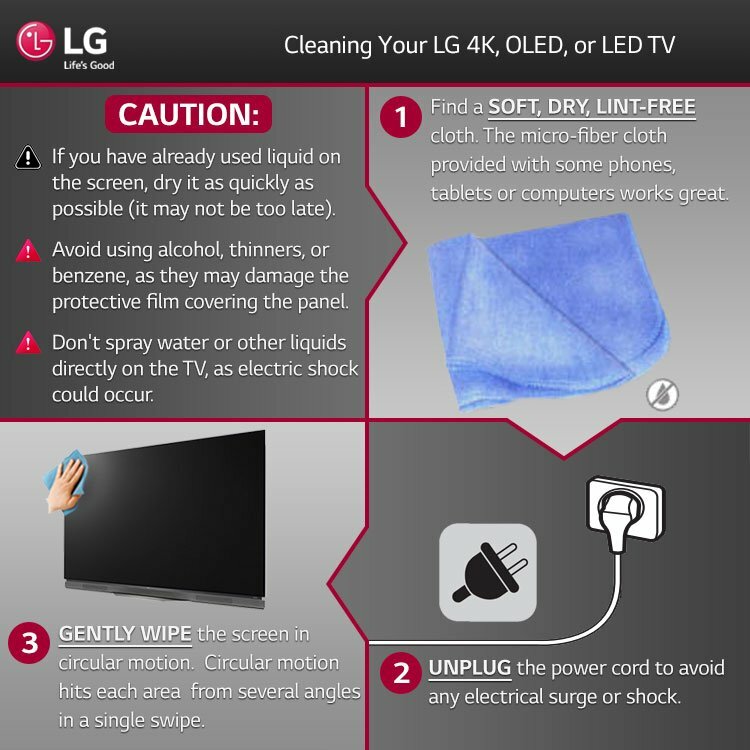 Follow these simple steps to keep that LG 4K, OLED, or LED TV looking brand new!